AM is pleased to announce the release of its fifth full-length album, Exposure, on November 21, 2016 on Gangplank Records. We’re celebrating the event with a co-record release show with Nick Piunti, whose excellent new album “Trust Your Instincts” has just been released. The party is on Saturday, November 26 at PJ’s Lager House in Detroit and will feature very special guests Ryan Allen and His Extra Arms. Cover is $10 which gets you complimentary copies of both records. American Mars is tickled to be opening for the Civilians this coming Friday (4/8) at the Loving Touch in Ferndale, Michigan. Jim Hebler and the gang have been enthusiastic supporters of AM over the years so we’re looking forward to see them take the stage. Also looking forward to seeing the Burros! Should be fun. We hope this post finds you well. 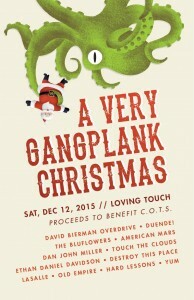 Much thanks to everyone who made it out to the Very Gangplank Christmas show. David and Matt and everyone at Gangplank Records did a fantastic job pulling the night together and all of the bands were most excellent. Special love to Dan John Miller for having AM back him up on his evening’s tunes. Great, great fun. In time for Christmas, we just posted a cover of the Beach Boys’ tune “Christmas Day.” You can find it in the audio player or you can listen and download the track for free on the AM Bandcamp site here. Remember that AM music and wearables make a nice, if slightly odd gift. Our wares can be found on Bandcamp, Itunes, and on the official Gangplank Records website. 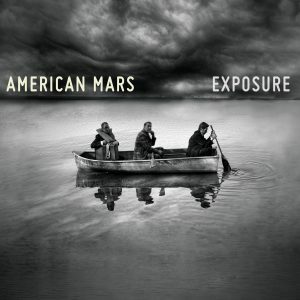 On behalf of everyone in the band, we’d like to thank everyone for supporting American Mars this year. We wish you all a happy holiday season and a great new year. We like this time of year so here are a few announcements to ring in the season. 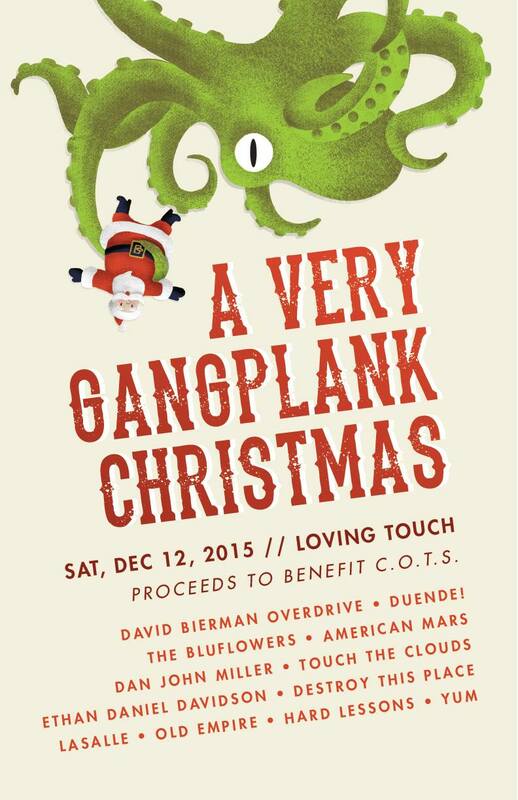 All proceeds from the show benefit Detroit’s Coalition for Temporary Shelter (COTS). It promises to be a great time so put it on your calendar and plan to come out. AM opens up for Convington, KY’s Frontier Folk Nebraska this Saturday, November 21 at Hatchy’s in Utica, MI. Should be a good night of music. Come check it out. AM will play a festival set this coming Saturday, July 18 at 4:15pm as part of the MetroTimes/Woodward Avenue Brewers Pig and Whiskey Fest. This show is FREE so come say hi! More info here and on the shows page. AM is proud to be a part of a great show happening this Saturday, June 6 at the Franke Center for the Arts in Marshall, Michigan. Along with AM, the bill features our good friends LaSalle, Gifts or Creatures, and 3 LB Cut. Music starts at 7:30 and ends around 11 and tickets are only $10. That’s a great value for a night that could change your life. On Saturday, June 6, AM will join Gifts or Creatures, LaSalle, and 3 lb. 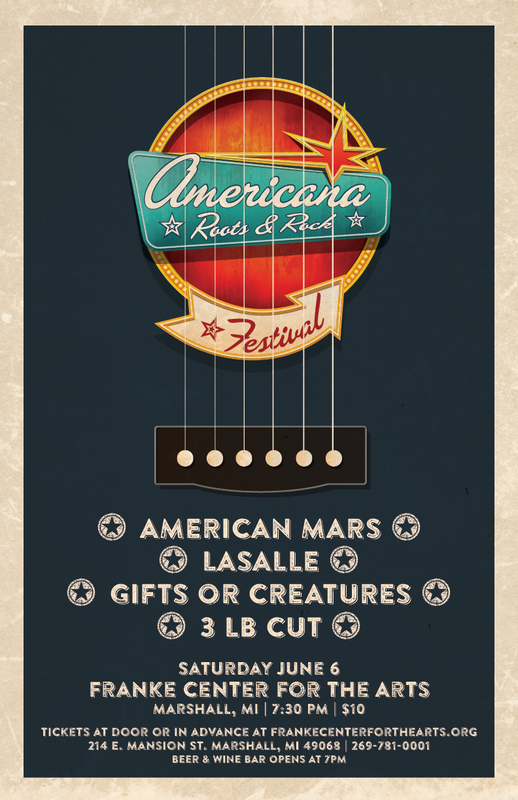 Cut for an Americana Music Festival at the Franke Center for the Arts in Marshall, Michigan. Showtime is 7pm and the cost is $10. Sounds to us like a great night for tunes. We’re thrilled to be playing with such great bands and good friends. See you there! We’re happy to start the year off with a show next Wednesday, March 11, at the Huma Room inside the new Hopcat bar and restaurant. We’ll be joined by our friends The Brunswick Brawlers. Showtime is 8pm. Check out our Shows page for more info or check out the show’s event page here.